What is this "swag" of which he speaks? I thought "swag" was the free stuff PR people send you? 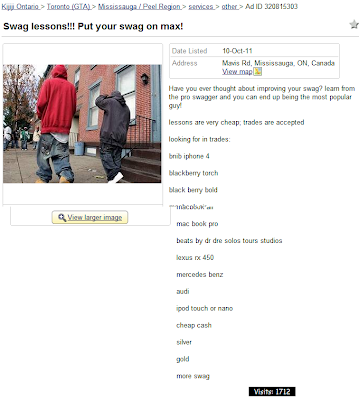 Swag lessons!!! Put your swag on max! Have you ever thought about improving your swag? learn from the pro swagger and you can end up being the most popular guy!